We saw in the CSK vs RR game at Jaipur where there was a big no-ball controversy. We saw Dhoni stepping on to the field from the Dugout and have a heated argument with the umpires. There have been fans who have supported Dhoni's reaction but certain players have not reacted positively. Now Virender Sehwag has made some bold statements on this issue. "Had he been so angry for the Indian team, I would have been happy. Maybe he is that stage where he will retire in a year but we have never seen Dhoni getting angry for the Indian team," said Sehwag. 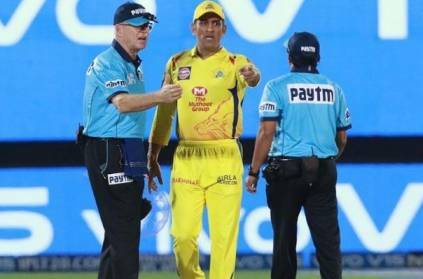 He also went on to say that Dhoni should have been banned for one or two matches as this sets a bad example and that umpires should be respected irrespective of the decisions since they are also humans and can make mistakes. This page contains news relating to various facts and events. The views are generally about current affiars and general topics in diversified areas such as political, international, national, and regional issues, sports, health, travel, lifestyle, technology and business. People having similar interets on the above topics will find this page useful. Sehwags comments on Dhoni and the no ball issue | Sports News.